Sony rocked the boat with their PMW-F3K camera. This camera offered a Super 35mm sensor, interchangeable PL mount lenses and a workflow similar to their popular EX1 line, all at a price lower than a RED One. Now it looks like they plan on turning the boat over with an entirely new camera. Sony’s Next CineAlta Camera (name to be announced) is touting specs that were fantasies up until now: 8K (8768 x 2324 pixel) single CMOS sensor, 16-bit RAW output, 16:8:8 color spacing, and 1-72 fps in normal 4K mode, 1-120 fps in High Frame Rate mode. The 4K Sony will eat memory cards for breakfast with an expected 1TB per hour at 24 fps. No word on what camera this is set to compete with, i.e. 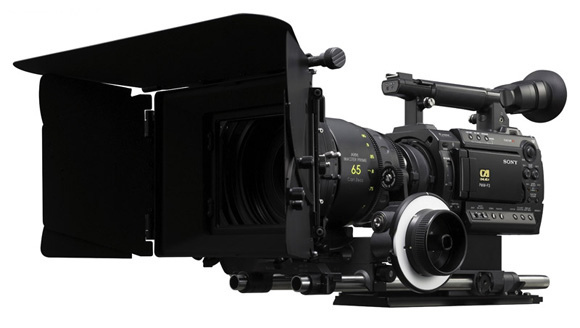 RED or ARRI, but more information will be revealed at NAB. For more information, read the full article from Film and Digital Times here. Well, it’s really good to know about PMW-F3K camera. The existing camera model and design are really looking incredible and exceptional. And this one is really impressive output camera. And the second thing this one really offers 35mm sensor. It’s really rocking about it. Thanks for sharing some innovative thing. It’s really mind blowing.